There are only so many dollars to go around when it comes to our household income! It is hard when things are tight and one of our furry friends becomes sick. This has happened in my household so many times, and it is sad when you have to make the choice to pay bills and be fiscally responsible or go into debt with the hopes to keep your pet in good health. I remember when I first got married I came into the union with my dog Amber and my cat Samantha. My hubby hadn’t had a lot of experience with dogs, let alone Shelties, who have an insatiable appetite! He decided to dispose of some waste from our deep fryer and buried it in the back garden, while the dog meandered around watching. The moment she was alone, she promptly ate four litres of soil mixed with vegetable oil. Amber became violently ill, and we had to drive to the only Emergency Vet that existed at the time. The dollar figures being thrown at us were phenomenal to newly weds with no disposable income, she had Acute Pancreatitis and the outcome was bleak. I was the only one working and my spouse was finishing his last year of university, we didn’t have loads of cash for tests and over night stays. I remember asking them what they were going to do for her? The vet responded they were going to watch her over night, introduce fluids in the morning, I tbsp of water at a time, and it would take a couple of days to nurse her back to health. I was bereft, we barely could cover the cost for the visit. I made the decision to take my girl home, I called in sick to my job for two days and I stayed with Amber, nursing her back to health, 1 tbsp of water at a time, until she was through the rough patch. She recuperated fully and went on to live a good life! There is nothing worse though than having to make that decision, “Can we afford to fix this?” There are never any guarantees and to be honest, I remember spending $800 on our dog Nishka, she was new to us and her skin was an abysmal mess. Our regular Vet had sold his practice and we had to try a new one, the doctor we went to did skin tests, blood work and punched 11 holes into our poor dog and still could not figure out what was wrong with her. A friend happened to come by to visit us and saw her and said it looked a lot like mange. We bought some Revolution, that cost us $11 and Voila, within a day things improved markedly! We were furious we had put the dog through so much hell, when the solution was so simple! 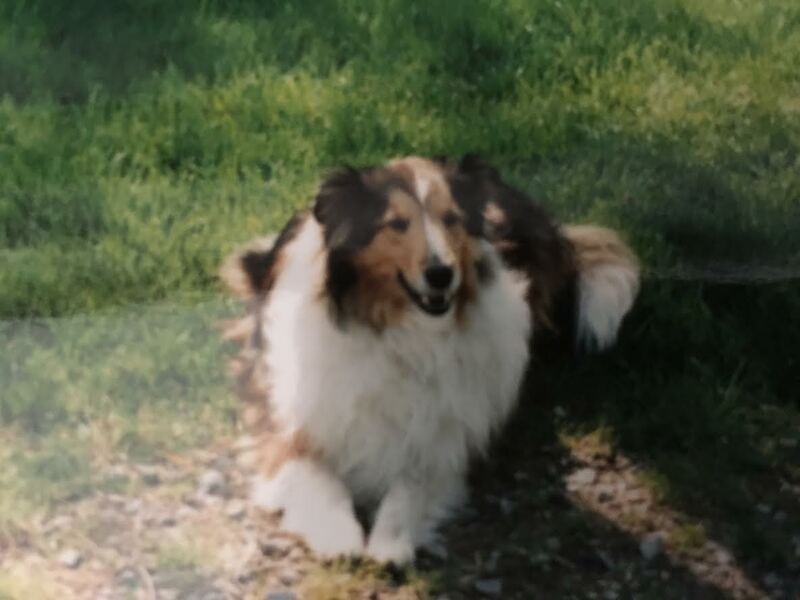 Then there was the Vet who convinced us that my four year old Sheltie needed her teeth cleaned, she went on about the risks in not doing the procedure and how bad things would get if we ignored the problem. Guilt is a powerful tool, we wanted to be good pet parents, so we succumbed to the pressure, after all, she must know better than we did! There was a mistake in the dosing they gave Piper for the anesthesia, after she had her teeth cleaned she began having neurological issues which was the beginning of the end for her, she never really rallied from that. Our fur babies are members of our families, I think most of us try and do our due diligence, we buy the best food we can afford, we get them vaccinated, we try and take them for regular check ups, but life happens and sometimes they get sick. It is usually a costly process to figure out the “what” that is causing the issue. I remember spending $3000 with an Emergency Vet on our cat Romeo, only to be told that he needed a surgery that would be in the $4,000-5000 range. And, the preface that there was a fifty fifty chance of it helping, in all likelihood he would die! When I said I didn’t think we could afford that, I was told the only other option was to euthanize him. I took my boy to my own Vet, who said they wouldn’t put him through that surgery, there were too many variables that could go wrong, to take him home and love him, I greatly appreciated her candor. That was over five years ago, we take things a day at at time, we do our best to keep him happy and healthy, and I have to say, I am glad I didn’t succumb to the pang of conscience I felt from the one Vet for not doing the surgery. Our family has had it’s share of struggles with our pets succumbing to illness or old age. My Piper, ended up with Cushings disease, we spent money hand over fist to try and help her, but in the end her illness got the best of her and there was no amount of money that was going to turn back time. The sad part was, shortly after that our other dog came down with Vestibular Syndrome, she was 16, incontinent and things at the company where my spouse and I both were employed were going south, I was pretty sure we were going to be jobless in the next while. I remember thinking we could wait and hope things turned around for her, but there was this nagging voice in the back of my head, questioning what if things got worse and we didn’t have the money to pay to help her? The sad thing, euthanasia wasn’t a cheap alternative either. It is a miserable thing to have to look at one’s bank account and make the decision, will I be able to afford to help my pet? Medicine isn’t an exact science, it is a lot of guess work and going on intuition and hoping that the Veterinarian takes the right direction in treating the problem they are presented with. There are no guarantees! If I have learned anything with my furry friends, love goes a long way in curing them, don’t ever underestimate the power that your bond with that animal has in it’s overall ability to heal. Guilt is something we will all experience, but you do the best you can with the information you are given, getting a second opinion isn’t unwarranted, blind trust isn’t always a good thing, it is okay to question your Vet, and in the end, follow your gut instinct!! Lastly, that animal loves you, it knows that you will do your utmost to take care of them. If it comes down to a procedure that seems too invasive or the cost is something your finances can’t handle, they will understand. Just be with them, love them and if the time comes where things are beyond fixing, then be a good friend, you owe them that much! It is hard to watch the light go out of their eyes, it is one of the hardest things you will witness, but you will never regret being there with them, you will never regret that yours was the last touch that they felt, or voice that they heard and they will go in peace. That is what love looks like, and no matter what situation your bank account is in , we can afford to give our furry friends our presence and with this, there can be no remorse. Be there for your animal, the reassuring presence in the room that let’s them know, no matter what, you are there doing what you can, this is something we can all give no matter what the bottom line is. There is no dollar value on love, you can give that freely and with that, when the dust settles, there is peace of mind.